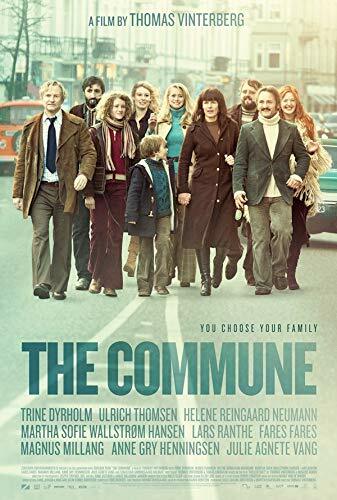 The Commune (Danish: Kollektivet) is a 2016 Danish drama film directed by Thomas Vinterberg. It was selected to compete for the Golden Bear at the 66th Berlin International Film Festival. At Berlin, Trine Dyrholm won the Silver Bear for Best Actress. It was named as one of three films that could be chosen as the Danish submission for the Best Foreign Language Film at the 89th Academy Awards, but it was not selected. Read more on Wikipedia.